Home Adaptations How Do Polar Bears Adapt to their Environment? 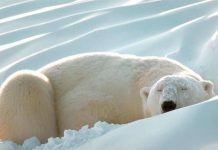 It is quite amazing that polar bears have adapted to the harsh arctic environment where most land mammals could hardly survive one day. Thanks to the physiological, structural, and behavioral adaptations of a polar bear that allow her not only to survive but also to live like many Arctic mammals. These adaptations are likely to arise when animals are forced to live in different habitats. This occurs gradually during which the bear learns to adapt herself with the environment. This is called adaptation. In order to know these adaptations in detail one must understand how polar bears have evolved to live on the sea ice. While the powerful paddle-like feet provides absolute support to the body weight dense fur, specialized teeth, and sharp nose facilitates the bear in swimming, eating, and smelling respectively. Let us discuss then how do polar bears adapt to the tundra. Scientists believe that polar bears might have evolved from grizzly bears some 70,000 to 100,000 years ago. The white bears have probably adapted their ecological behavior from grizzly bears and both the species appear to have separated in the glacial periods. This explains why Ursus maritmus seem to share quite similar characteristics with Ursus arctos. Read More: How Big is a Polar Bear Paw? The formidable polar bear’s feet are strong enough to support and balance the entire weight of the body on the sea ice. Besides support feet also facilitates the bear in swimming. Adult bears have their feet measuring 30 cm across. The polar bear’s paws are very handy in walking on the snow ice. The dermal pumps on the paws assist the bear to grip. Read More: How Long are Polar Bear Claws? 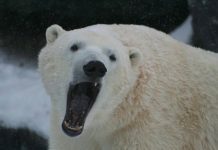 Unlike brown bears’ polar bears have claws which provide the animal firm grip not only on the ice but also on the prey. The short but powerful claw allows the white bear to hold the prey and the latter finds it impossible to escape. The brown bear’s paw is not that stocky. 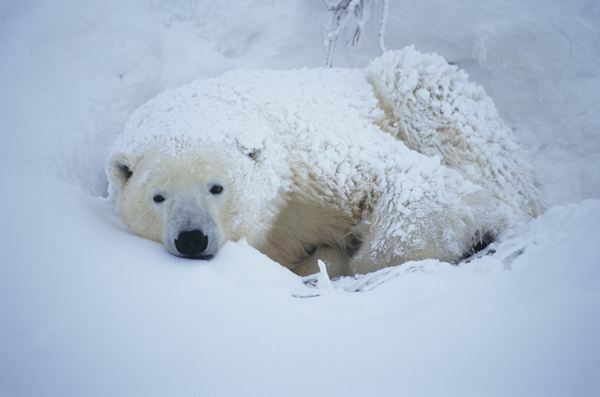 Polar bears are one of few animals that can detect smell from kilometers away. It is often said about white bears that they smell you before you see them. They are thought to discover seals from a mile away even when the prey is moving underneath the snow. 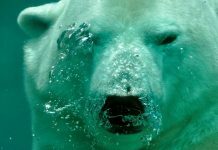 While know only little about polar bear’s hearing sense they can probably hear up to 25 kHz. They are known to possess hearing sense as powerful as that of a human. White bears have less sharp hearing as compared to dogs even though the former is able to communicate in low frequencies. While polar bears have acute sense of smell they do possess pretty good sight. They are able to visualize things and can probably recognize colors. Polar bears are often seen touching things with their nose, tongue, and claw. However the statement lacks any scientific explanation whatsoever. 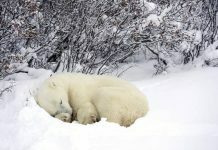 Structural adaptations of a polar help her to adapt with different environmental stressors such as the bear white fur which camouflages her in the snow. Structural adaptations also include adaptations as to how a white bear will protect her from the predators. Polar bears possess white coat which goes pale yellow as the bear grows older. In captivity the yellowish coat is rather common and prominent because of the humid conditions. Sometimes the captive bear gives a shade of green color which is probably due to the algae that grows inside polar bear hair. 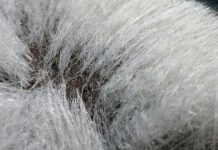 Adult males seem to have longer hairs on their legs. These hairs continue to grow till the age of 14 years. Scientists say that adult males show long hairs to attract females. The dense layer of the coat not only serves as an insulator but it virtually makes the bear to disappear in the white background. The primary prey seal finds it hard to detect the polar bear and when it does so it’s almost too late. 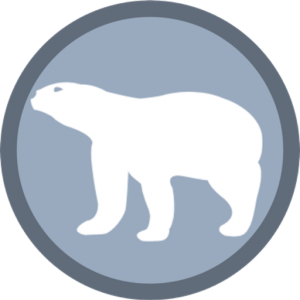 Brown bears hibernate but polar bears do not! White bears become inactive in season as they go into dormancy state. Adult females which are expecting babies usually become dormant. Adult males, though not active, do move around in search of prey. The dormancy state is not a true hibernation. During dormancy the bear lowers her metabolism and rely exclusively on the available fats. Polar bears predominantly prey on ringed and bearded seals which qualifies them as the most carnivorous bear of all Ursids. They hunt seals mostly underwater and rarely on land.